Love, murder, war, betrayal. This is the story of the five extraordinary queens who helped the Norman kings of England rule their dominions. Recognised as equal sharers in the royal authority, their story is packed with tragedy, high drama, even comedy. Heroines, villains, stateswomen, loversBeginning with Matilda of Flanders, who supported William the Conqueror in his invasion of England in 1066, and culminating in the turbulent life of the Empress Maud, whoc claimed to be queen of England in her own right and fought a bitter war to the end, the five Norman queens are revealed as hugely influential figures and fascinating characters. 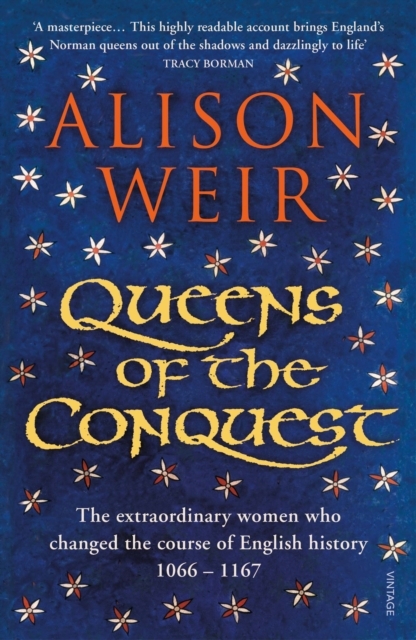 In Alison Weir's hands, these pioneering women reclaim their rightful roles at the centre of English history.